Provide comfort for the family of CoraLee Stokes with a meaningful gesture of sympathy. CoraLee Stokes, age 80, of Derby, retired National Beef keypunch operator, passed away Sunday, March 24, 2019. No Visitation. Funeral service 1 pm Friday, March 29, Rose Hill Bible Church, 1410 N Main St, Rose Hill. CoraLee is preceded in death by her parents, the Reverend Dan and Effie Allen and her brothers, Al Wells and Dan Allen, Jr. Survivors include her son, Robert Danko (Jane), of Denver; daughter, Suzanne Dahl (Chris), of Derby; grandchildren, Brittany (Jose), Sarah (Nick) and Andrew; great-granddaughters, Samantha and Clementine. A memorial has been established with Silver State Baptist Youth Camp, 1410 N Main St, Rose Hill, KS 67133. We encourage you to share any memorable photos or stories about CoraLee Stokes. All tributes placed on and purchased through this memorial website will remain on in perpetuity for generations. 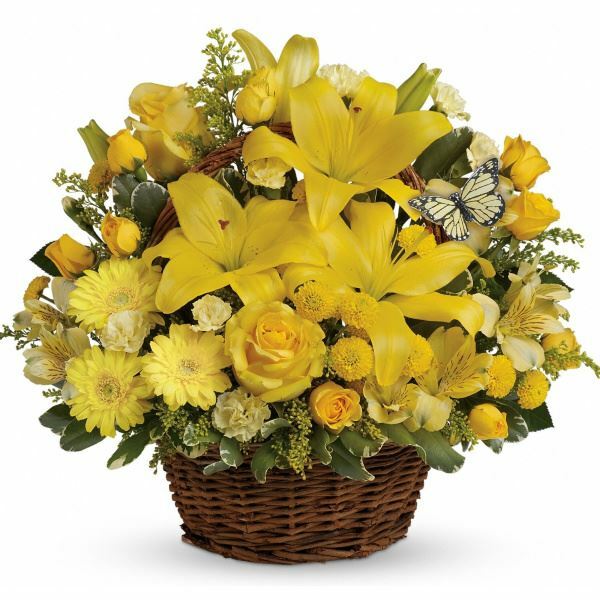 Provide comfort for the family of CoraLee Stokes by sending flowers. Lord have mercy, I can remember so so so many times we've camped out at Talliano's (or wherever) and spent the time talkin, but mostly laughin ourselves into a coma. LOL! And when we'd spend time at each others' houses it was the same...boatloads of laughter. Suzanne & Rob, please know that ya'll are in our prayers daily. We love you!! I already miss your sweet little laugh so much and hearing you tell stories. I'm so glad you're not in pain anymore and you are resting and living it up in heaven. I love you Grandma. Dear Robert and Suzanne, our deepest condolences to you and your families. Your Mom was so much fun and we loved her dearly. Thankyou for sharing her with us. Thinking of you all. Suzanne, Robert, and families, Visits that I most looked forward to growing up on the Burbank Farm were from cousin Cora Lee. Great stories! Heartfelt Sympathies Store purchased flowers for the family of CoraLee Stokes.